Re: Buying First Pull Behind? Pic of my new Roadstar per request. My redneck tongue stand. I got $1.04 invested for a can of flat black spray paint. The "Crown Royal" was free? The crown royal was already gone at the time of construction! And.... do you really buy crown for the bags?!!! Actually, we all know that you buy the bag for the crown! Great pic JC, Don't lean any more than you did. Is that the "Bigfoot" version of the tongue stand? From the Bushtec Site: Did not see a 2016 hitch but 2014/15 is called out separately. 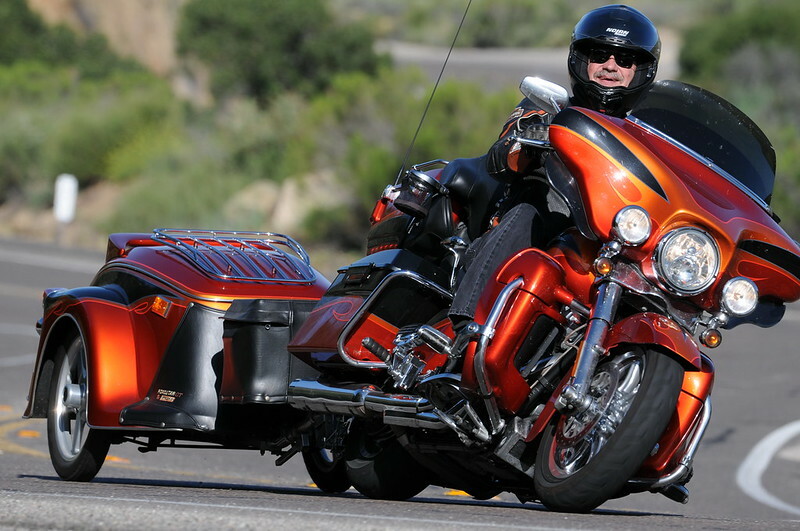 Version 3 Bushtec hitch for 2009 THROUGH 2013 Harley-Davidson CVO Road Glide, 2010-2011 CVO Street Glide. (Version 3 is designed to fit models with longer fender extension with no light). Wonder why it doesn't list it fitting a 2012 SE SG? Indeed, several of us 'ol codgers use that crown bag to keep tees/divot tool/etc. in and then swap out all the stuff in your pants pockets to play golf. Perfect for that. If only the N-line was 6 " longer it'd fit 2 sets of clubs.....which is the main reason for getting a trailer. Now looking for a Turbo 2....an American Legend....or a Marlin. Being a photographer, I use two Crown Royal bags - one inside the other - filled with around seven pounds of rolls of pennys. I used cable ties to tighten the bag just above the pennys, then hang the bag below my tripod. It's a method used to keep the tripod that much more sturdy, especially in breezy weather, and it lowers the center of gravity of it substantially! I use another CR bag to hold a flash unit, and another to hold my Humminbird depth finder. But of course, I got the bags from someone else! Far be it from me to drink that much CR! Harry, you didn't get them from me. My jars don't come in CR bags. I do.....every morning we move on down the road to the next location. Seriously..... there are members on this forum that take a lot more than I. I mean I still have room left in my trailer and in my saddle bags. I see some pull in so loaded they couldn't add a bottle of water. We are spoiled....we spoil ourselves. If you're riding a CVO, you should know what that's all about! That's a beautiful looking set-up JCZ! WOW!